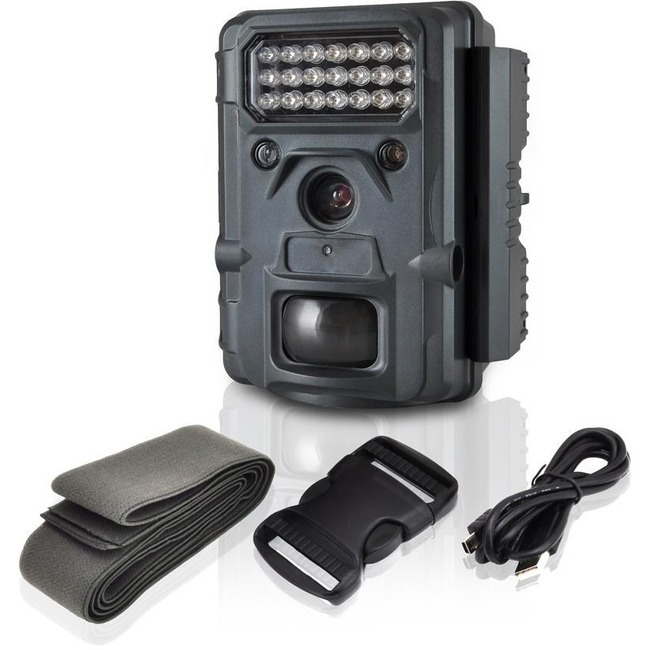 Marketing Information: The Pyle PHTCM Night Vision Game & Trail Camera + Camcorder has the ability to capture images and record video. Mount the marine grade waterproof camera in the desired outdoor location and the built-in motion sensor with invisible flash captures wild life movement. Quiet and non-interfering operation will not startle animals and allows you to observe their natural behavior. Snap hi-res images (10MP) and video (480p) day or night -- rain or shine! The extra tough and rugged housing can be mounted virtually anywhere and battery operated wireless performance makes it perfect for scouting. Easily transfer recorded video and images to your computer and share thanks to the built-in SD memory card reader. Use it for hunting, exploring or see what wanders in the woods with the Pyle PHTCM Night Vision Game & Trail Camera.